Imagine that you want to apply for a job in a big company, but it is outside the country you live in, certainly, no company at present accept any staff applies for a job without make interview with them to know their personality , the extent of their ambition and the new ideas that they have and their perceptions for the future. But you can not make this interview because of the distance between you and the company’s headquarters and it does not have any other branches close to your place of residence. In this case you will have to make a telephone interview . The most important thing in the telephone interviews is the Preparation, Know your skills and your resume, Try to know all things about the company you are applying to. Also, ask about the person who will interview you. Check out their digital identity. Being prepared to give yourself the confidence to ‘stay loose’ and be ready to respond all the questions to the interviewer. Telephone interviews are relatively short – often 30 minutes maximum – so you will not find time to think about the answers . For this, preparation is the most important things you must be carried out before telephone interviews, to make Your answers to questions are convincing and concise that makes you look competent. you should arranging your interview, Be in a quiet area and be alone, start your telephone interview with saying ” good morning ” or ” good afternoon” according to the time when the interview begins and end it with “good bye” . Be confident of yourself, Relax so you can respond to questions in the right way and gaining the confidence of you speak with him. Make sure to be polite throughout the conversation because they sometimes try to provoke you to know the extent of your control in your emotions and follow-up your words with thanks . I tell you before that the time is short so train to arrange your thoughts quickly and if they asked you unexpected question, Keep calm and Not strained, Do your utmost to answer and if you failed try to forget it to not affect the rest of the interview because Failure to answer one question will not affect the rest of the Questions . Ask about the coming steps, and if they want another thing from you. 1- Why you interested in apply for this job ? One of the most important question interviewer may ask you to answer it, first you must be calm and give the interview your full attention , you should make him feel comfortable and feel good about you, you must make him feel you are honest in every word you tell him,told him you dream to fill the post and that you want to work with who appreciated your thoughts and your efforts at work. 2- What are the scientific and process qualifications you have ? The process qualification intended if you work anywhere else before now , If you have previous experience that will improve your CV. Relax. Now he knows your advantages and know if the company in need of your services or not. 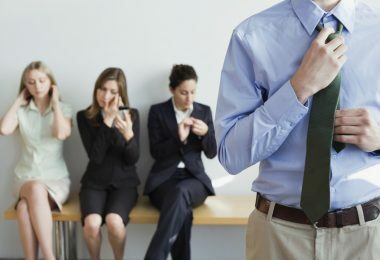 So if the interview lasted between you and him you should be reassured because he became impressed with your qualifications and wants to know if you are suitable for the company or not. 3- What is your physical condition now ? Not strained, you have to answer and quickly, You will think of why do they need to know this? In fact, you must tell them cause they want to know that to set your salary so tell them the truth…..
You don’t know, they may want to pay you more than your old salary ? 4- If the decision is up to you , Give me a number for your salary? The previous question was as a prelude to this question, There are many ways to answer this phone interview question without make him feel that you are a greedy man. If you have any friend works in this company ask him about the average salary for the beginner employee, and try to find out more about salaries in this company, these things may help you to ask a specified number as your salary …..
you can tell him that you are flexible about your salary because you trust the company and the offer would be fair to you… This is a typical answer to get rid of this question. But if you ask me about my own opinion, I prefer to avoid answering this question and try not to give a direct response to him. 5- What about vacation ? 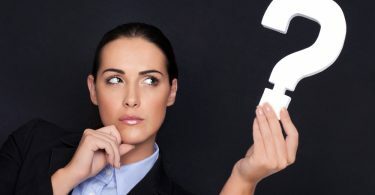 As a matter of fact, He asks this question until you know how you commitment in your work, If there are many of candidates for this job , the interviewer will ask some questions about your personal life, but it has a relationship with your work and affect it so he will be interested in know it . He wants to know if you have a vacation, but the company in need to your services, will you cut off your vacation and return to work, or would prefer to continue your vacation ?? You should show him your extreme enthusiasm and your unquenchable desire to work and be sure that this will make him impressed you. 6- Where do you see yourself after 5 years ? This question tested the extent of your ambition and your vision for the your future and your working life , this certainly will be reflected on the company’s overall.. But what is the concept of the wrong person from their point of view ? For them the wrong person is one of the works they have but do not think to continue with them…Using this job as a bridge to his real dream job … Only mark time until he find his dream job … The job he rally want ! I mean that he is here until he gets a better chance, and this is a nightmare for this company , Thus, because they have lost not only an employee, but an important experience for them and they lost it to a competitor to them. So, Put all of this in mind before answering this question. 7- What are your special skills and can you assess yourself ? Now telephone interview nearing to a close, after he ask you about your academic and scientific qualifications … You might share with one of the other candidates , the manager must aware who deserves the job , the criterion in this conflict is the personal skill like speaking several languages or knowing about software and methodologies some thing like that . Now you maybe ask yourself , But there is a minimal level of competency required in any company ?? you are right , In all companies there are some constituents that must be available in you , But the increase of these constituents becomes a special skills and that’s what I am talking about . 8- When can you start in work ? It seems you will get the job !! But do not rush, this is also a question needs to be answered . The company don’t want to hear that you will start in long time like 3-4 weeks, It’s a very long period, they maybe need you quickly. Showed them your enthusiasm , tell them you are ready to start tomorrow , or you are ready at any time they will see you as a serious candidate. 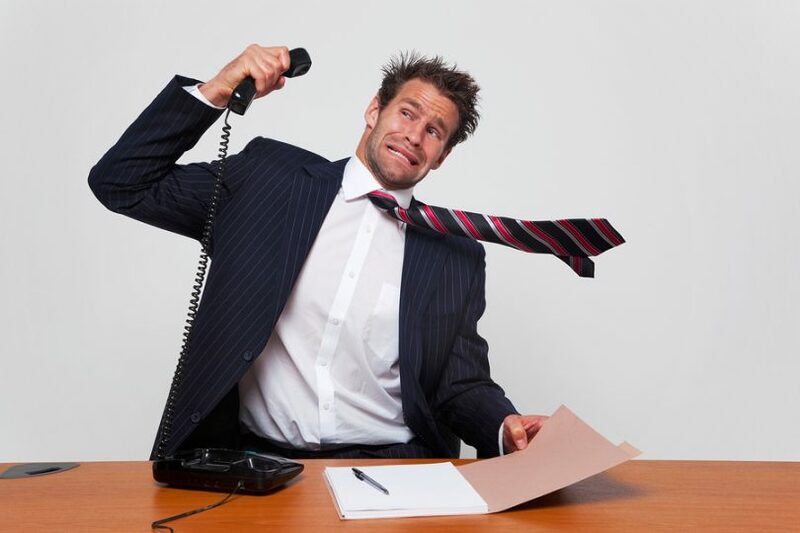 Telephone interviews be difficult in the beginning but with the experience you gained you’ll learn more and more about it and you will get used to the telephone interviews.